Get rid of dust and pollen. Order Today and SAVE 20% Breathe Clean Air in your home and sleep better with Ceiling Fan Air Filters from BioStrike. They attach on opposite blades of your ceiling fan and remove airborne dust, pollen, allergens, animal hair and other contaminates that circulate in the air as the ceiling fan operates. Available in packages of two (2) filters each, enough for one fan and the economy 6-pack , enough for 6 fans (SAVE 20%, Order Today!). 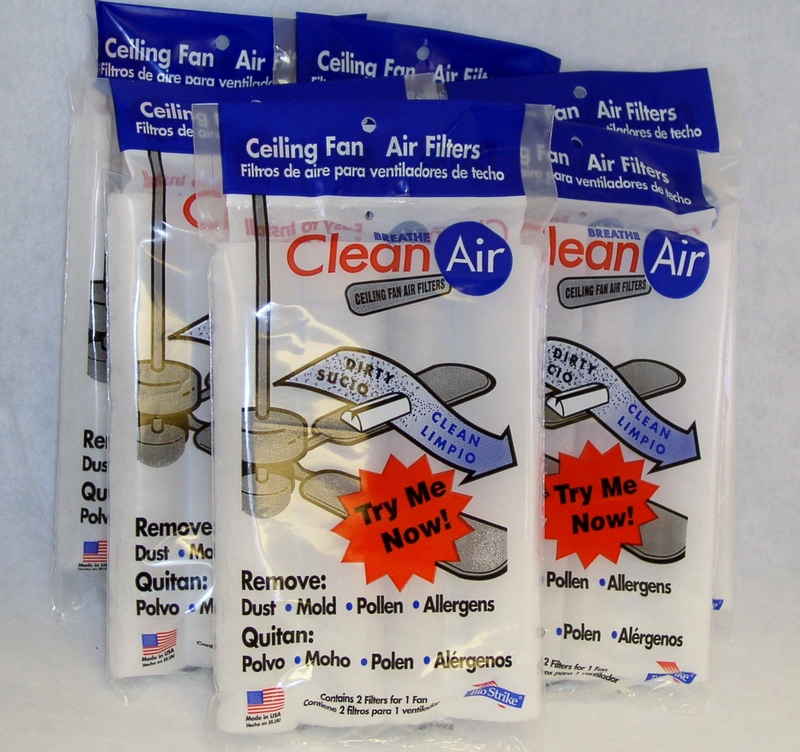 Breathe clean air in your home and at work with Ceiling Fan Air Filters from BioStrike. 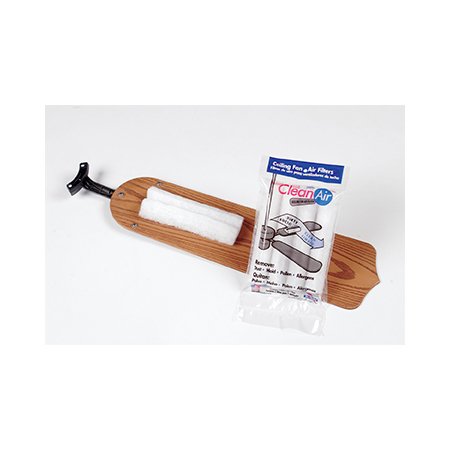 Simply remove the protective tape backing and attach to opposite blades of your ceiling fan. 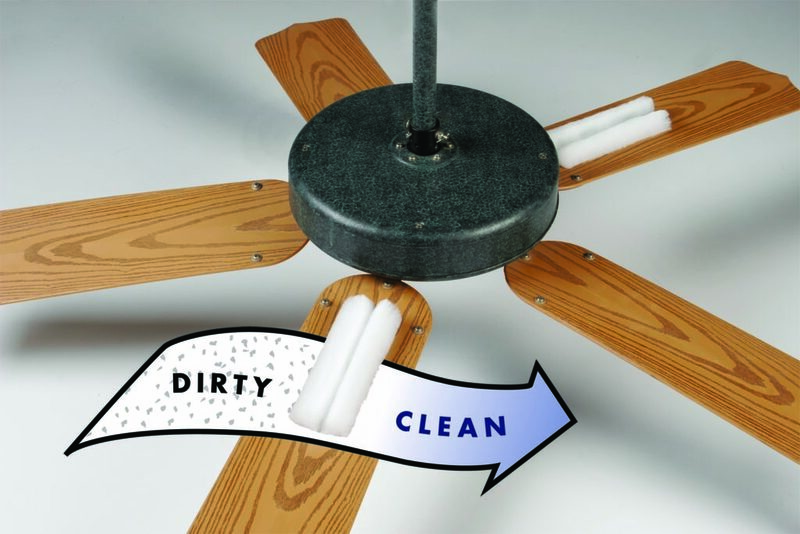 Now you are removing airborne dust, pollen, allergens, pet dander and other contaminants that circulate in the air as the fan operates resulting in a healthier and safer home environment. Ceiling Fan Air Filters are specially designed for smooth airflow. Place them on the top side of the blades about 3-5 inches from the motor. That way the will not effect the fan’s balance. They are effective for up to 3 months depending on the environment. 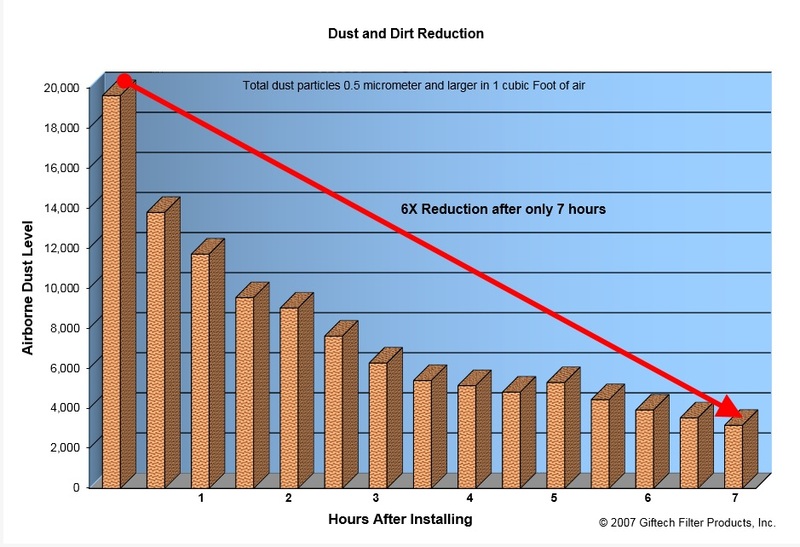 Reduce up to 6x more airborne particles than furnace filters alone.